Sailfest visitors will no longer be able to tour The Amistad. As New London gathers for its annual Sailfest, the operators of The Amistad say the famed schooner will no longer take part in the annual event. The ship has an upcoming Coast Guard inspection that it says it needs to prepare for. But the organization that operates the ship, Amistad America, is also unhappy with the coverage it has received from New London's newspaper, The Day. Hanifa Washington, executive director of Amistad America, says the newspaper's coverage of the organization's financial problems has been hostile and inaccurate. Tim Cotter, the managing editor of The Day, says the newspaper's stories have been accurate and he doesn't see how the coverage is relevant to the decision to attend Sailfest. The paper, however, is a sponsor of the event. Amistad America has come under fire for various reasons. The organization lost its non-profit status after it failed to file three years of federal tax returns. Last year, the ship itself sailed to Puerto Rico to film a television miniseries...during hurricane season. The state of Connecticut has given approximately $8 million to Amistad America and continues to give about $350,000 a year to the organization. Last year, State Representative Diana Urban from North Stonington was very critical about the Caribbean trip. "It's not meant to go out in heavy seas when we've made this investment," Urban told WNPR. "It's supposed to be celebrating and educating the abolitionist movement in Connecticut." Other news outlets have also been critical of Amistad America. In a recent editorial, the Hartford Courant called it a bipartisan issue that needs to be fought by Democrats and Republicans. "Connecticut played a central role in the trial of the original Amistad slaves, so it is appropriate for the replica to be partially funded by state taxpayers," the Courant editorial board writes. "But as has been asked for some time now: Where did the money go?" The answer to that question is still being investigated in a long-overdue audit. The Day reported on the progress of the organization's financial situation, including numerous bills that were still overdue. Visitors who want to explore The Amistad can travel about 50 miles down I-95 to New Haven, where it is currently docked. 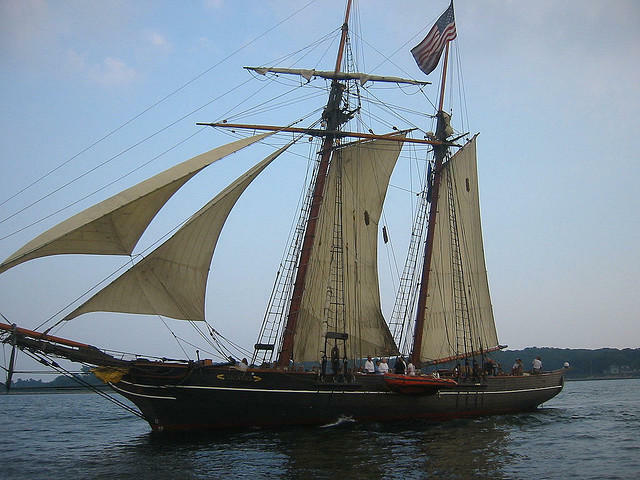 In a schedule on its website, The Amistad is supposed to take part in the Connecticut Maritime Heritage Festival in New London in September. The executive director of Amistad America Inc., a New Haven-based non-profit, asserts that all money it has received from the state has been used appropriately. Amistad America owns and operates the Freedom Schooner Amistad, and recently lost its non-profit status after falling behind in filing federal tax returns.